I have the pleasure of being married to a very spontaneous person. I on the other hand am very practical. Everyday with him is an adventure. And I love it. He balances me out and pushes me to explore things outside of my comfort zone. I just had to learn that I have to be ready for anything. There have been numerous occasions in which we’ve decided to “run errands” to only end up at a nice restaurant. I often found myself saying “I wasn’t ready” (in my Kevin Hart voice). Lol! So I have learned to stock a few basics in my makeup bag. That way I would be semi-prepared for what the day may bring. Do you have any must have items that you carry in your makeup bag? Let me know what I may be missing. Hi Everyone! I am back with another Rapid Review. This time I am reviewing the Caudalie Makeup Remover Cleansing Water. 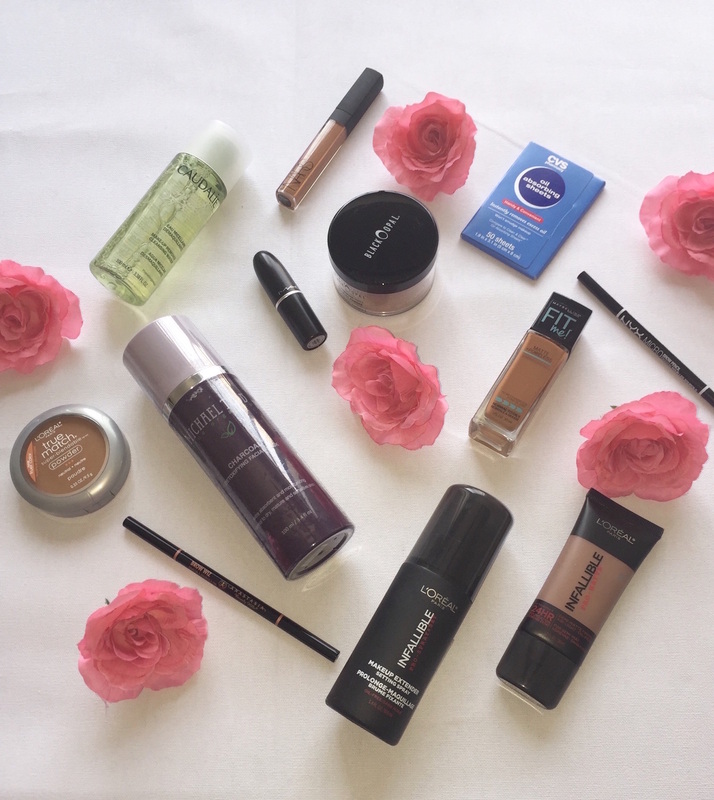 I featured this in my New In: Spring Beauty Goodies post. As you may have noticed cleansing/micellar waters are all the rage this year. I was really skeptical about them however I decided to give them a try after I stumbled across this particular one. Since Caudalie is a well respected skin care brand I figured I was in good hands. Below are my thoughts. Have you used any cleansing/micellar waters? What are your thoughts on them? Use(s)- This soap-free cleansing water effectively removes make-up from face and eyes, as well as cleanses and tones skin. Product Claims- Make-up Remover Cleansing Water soothes, moisturizes and softens skin. With a gentle Micellar cleansing base, make-up is easily removed without rubbing, and face and eyes are left thoroughly clean. The improved formula is now more natural, more effective and gentler on skin. Fresh fragrance includes orange and lemon blossom, watermelon and mint leaves. Make-up Remover Cleansing Water is non-irritating to even the most sensitive skin types. My Thoughts- I really like this cleansing water. It is very gentle yet effective at removing face makeup. I would say it is not the best at removing mascara and eyeliner. Although I am not vegan, I do love that it is a plant based product. P.S. I hope you enjoy this format for product reviews. You can review my previous Rapid Review post here. I learned about Eyes Lips Face Cosmetics while reading a beauty magazine back in 2007. I believe their products were only available online at the time. I was really intrigued by their products because of the rave reviews they had received. At the time, I was low on funds therefore their low prices was a real draw to me. I believe the first product I purchased from them was their cream liner. I was hooked ever since then. Although I’ve had to pass on some of their items, I have found some real gems. In no particular order, below are some of my favorite Elf products. What are your favorites? I have been doing a little shopping. There are so many skin/makeup products that I would would like to try. However as a recovering beauty product junkie I must learn to resist the temptation. Listed below (clockwise) are the products that I’ve recently added to my arsenal. Have you added any new beauty products to your regime? I am a recovering product junkie. I think I have tried just about every hair/beauty item on the market. From hair care, makeup, beauty tools, hair extensions- I have tried them all. In the recent year, I’ve decided to pair down to just the basics. I am also learning to focus on quality (and not quantity). While I am enjoying the process, I still get a little sticker shocked by the cost of high end products. I’ve decided to save more and to buy one item at a time. Here are a few items on my beauty wish list. I am in need of new styling tools. I’ve had my Chi flat iron for years. And though it is still in working order, I think it is time that I retire it. It does a good job with straightening my natural hair however I don’t like the fact that it does not have a temperature gauge. Each time I use it (which is not often), I feel as if I am damaging my hair. I’ve seen many positive reviews on Nume’s products. 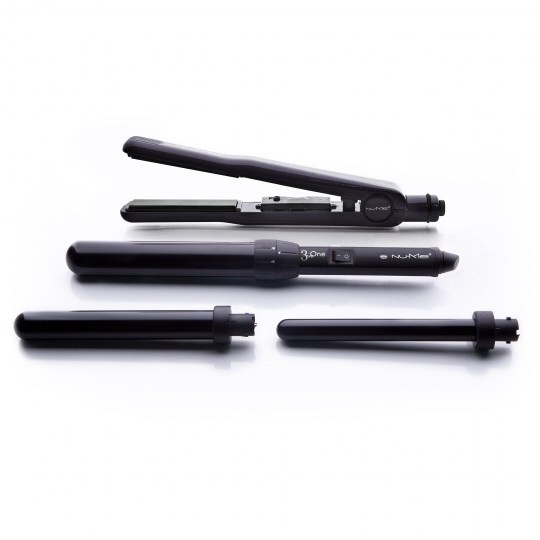 The Curljam set contains a flat iron plus a three barrel curling wand. I just love how sleek their products are. I can’t wait to get my hands on this set. I have oily, acne-prone skin. This means I have to be diligent about keeping my skin clean. The Soniclear cleansing brush is designed to gently deep clean your skin. I like to equate it to a battery operated toothbrush (only for your face). I like that the system comes with a face and body brush. Plus, the brush heads are anti-microbial! Now that I am in my thirties, I am making a conscious effort to take better care of my skin. 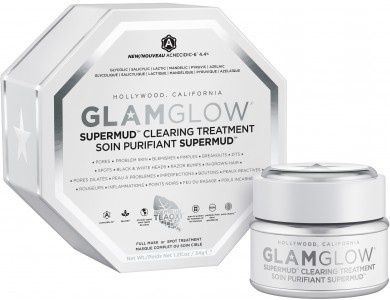 In researching quality facial products, I’ve come across countless reviews on Glamglow products. I am eager to try their Supermud as it is best for my skin type. It claims to deep clean, reduce pore size, etc. What’s on your beauty wish list?